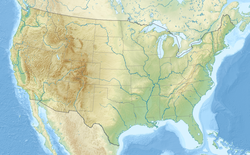 It is home to the Phoenix Suns of the National Basketball Association (NBA), the Phoenix Mercury of the Women's National Basketball Association (WNBA) and the Arizona Rattlers of the Indoor Football League (IFL). The National Hockey League (NHL)'s Phoenix Coyotes played their first 7.5 seasons at the arena following their arrival in Phoenix in 1996. The Phoenix RoadRunners of the ECHL played at the arena from their inaugural 2005–06 season until they ceased operations at the conclusion of the 2008–09 season. The Coyotes played their first game at the arena on October 10, 1996, where they defeated the San Jose Sharks. That same season, the Coyotes made the Stanley Cup playoffs in their first year. On December 23, 2003, the Coyotes played their final regular season game at the arena. The game ended in a 2-1 win over the Columbus Blue Jackets. The team moved 12.5 miles (20.1 km) northwest to the newly constructed Glendale Arena. The arena also hosted the Arizona Sandsharks of the defunct Continental Indoor Soccer League (CISL). Capacity for basketball was originally 19,023, but was downsized after the 2002–03 season to 18,422 and further downsized to 18,055 before the 2014–15 season. Three of the games of the 1993 NBA Finals between the Suns and the Chicago Bulls, including Game 6 where John Paxson hit a last second 3-point shot to clinch the Bulls' third championship, were played there, as was one of the three 1998 WNBA Finals games and two ArenaBowl games, and some games of the 2007 and 2009 WNBA Finals. In 1997, the Rattlers won ArenaBowl XI at America West Arena. The 1995 NBA All-Star Game was played in the arena as well as the 2000 WNBA All-Star Game, and the arena hosted the 2009 NBA All-Star Game. In boxing, Oscar de la Hoya fought some of his early bouts at the arena, and Michael Carbajal also fought there, including winning the WBO world Junior Flyweight title from Josue Camacho in 1994, and Julio Cesar Chavez ended his career with a fight at the arena. In bull riding, the Professional Bull Riders hosted a Built Ford Tough Series (at the time, called the Bud Light Cup) event at the arena each year between 1999 and 2002; in 2004 the event was moved to the Glendale Arena. The PBR returned to the downtown arena for the first time in March 2014. On December 10, 1993, legendary singer Frank Sinatra gave one of his last concerts at America West Arena. Bon Jovi performed on March 11, 1993 during their Keep The Faith Tour. Van Halen performed on April 1, 1995 as part of their The "Balance" Ambulance Tour. Depeche Mode performed at the arena three times: the first one was on December 14, 1998 during their Singles Tour. The second one was on August 10, 2001 during their Exciter Tour. The third one was on August 23, 2009 during their Tour of the Universe, in front of a crowd of 7,635 people. The 2009 show was recorded for the group's live albums project Recording the Universe. In 2018 , Fleetwood Mac performed at the arena during there An Evening with Fleetwood Mac tour. They played in the hometown of their lead singer Stevie Nicks. Construction of this arena began in 1990, as Suns owner Jerry Colangelo envisioned a need for a new playing facility to replace Arizona Veterans Memorial Coliseum. In 1992, the new arena was officially inaugurated with a 111–105 Suns win over the Los Angeles Clippers. After the Suns lost the NBA Finals that year, a parade that attracted more than 300,000 Suns fans made its way through downtown and finished at the new arena. When the Winnipeg Jets NHL franchise announced their intention to move to Phoenix to become the Coyotes for the 1996–97 season, the arena was quickly reconfigured for ice hockey. Unlike most multipurpose arenas, it was not designed with an ice hockey rink in mind. While its tight seating configuration suits basketball very well, it made it difficult to fit a standard NHL rink onto the floor. The lower level had to be sheared in half to fit the rink and create retractable seating. The Coyotes added a second video board in an area where the view was particularly obstructed, and also put up numerous proposals to improve sight lines in order to boost capacity back over the 17,000 mark. They also had to sell many obstructed-view tickets at a reduced price. In addition, an unfavorable lease caused further financial troubles that hobbled the team for much of the time the Coyotes played at the arena, and were a factor in driving the team into bankruptcy in 2009. The Coyotes moved into an arena of their own, Glendale Arena (later Jobing.com Arena and now Gila River Arena), located in suburban Glendale, for the 2003–04 NHL season. 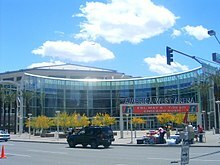 The arena was known from its opening until 2006 as America West Arena with the naming rights sold to Tempe-based America West Airlines. The previous year had America West purchase rival carrier US Airways and assume its name with the naming rights agreement carried with it. The venue adopted the US Airways name in 2006 after a rebranding and was the second arena the company owned the naming rights for after Washington, D.C.'s Capital Centre (known as US Airways Arena from 1996 until 1997 after the company, which had been known as USAir prior to that, rebranded). The new naming rights sponsor was announced at a press conference outside Casino Arizona Pavilion on December 2, 2014. The venue was renamed as Talking Stick Resort Arena. The name was established after the Scottsdale-based Talking Stick Resort. The name change was completed before the 2015–16 Phoenix Suns season, with the name going into effect after the end of the 2015 Phoenix Mercury season in September 2015. ^ "2014–15 Phoenix Suns Media Guide" (PDF). Phoenix Suns. p. 344. Retrieved January 30, 2015. ^ Condor, Bob (June 9, 1993). "Suns' Year-old Arena Colangelo's Pride And Joy". Chicago Tribune. Retrieved September 19, 2011. ^ "Perini Building Company - Sports Projects". Archived from the original on September 8, 2012. Retrieved May 20, 2012. ^ Wiles, Russ (December 2, 2014). "US Airways Center's new name: Talking Stick Resort Arena". The Arizona Republic. Gannett Company. Retrieved February 16, 2015. ^ Schwartz, David (May 26, 2003). "Suns Hopes Rise With 'Reinvented' NBA Arena". SportsBusiness Journal. Retrieved May 16, 2012. ^ Baum, Bob (August 25, 2016). "Philadelphia Soul, Arizona Rattlers set for Arena Bowl showdown". The Morning Call. The Associated Press. ^ "Phoenix selected as host for 2009 NBA All-Star game". Yahoo! Sports. November 7, 2007. Retrieved November 7, 2007. ^ "Phoenix Suns, Phoenix Mercury and Salt River Pima-Maricopa Indian Community announce Talking Stick Resort Arena" (Press release). US Airways Center. December 2, 2014. Retrieved December 2, 2014. ^ "Phoenix Suns, Phoenix Mercury and Salt River Pima-Maricopa Indian Community announce Talking Stick Resort Arena". Phoenix Suns. December 2, 2014. Retrieved December 2, 2014. 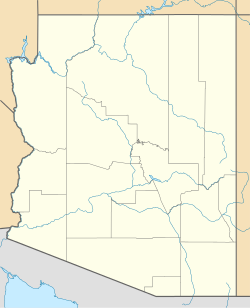 Wikimedia Commons has media related to Talking Stick Resort Arena.